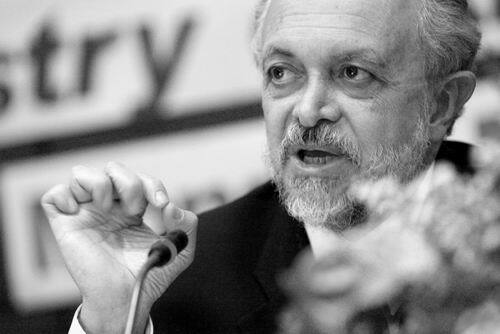 But what’s that got to do with Mario Molina? Molina, now 70, was one of the researchers who discovered the chemistry around ozone depletion. He and two other scientists received the 1995 Nobel Prize for chemistry for their work. 20 years ago, he faced a remarkably similar campaign to what the climate scientists face today. Two years later, Singer was even advocating putting mirrors in the sky to stop ozone depletion. That article can be found on another think tank website, theCompetitive Enterprise Institute. The CEI set up the Cooler Heads Coalition. But its extensive ExxonMobil funding was dropped in 2007 because the company said their campaign “diverted attention” from a real conversation about how to tackle climate change. I have posted before that you don’t have to be on the internet long to realise that something is very wrong. I believe that there are only 50 to 100 journalists with multiple identities who flood the climate web sites with the trite stereotype arguments outlined in the article. There is no point arguing with them because they are not interested in facts only on destroying discussion. We have had a few on Hot Topic but it is in sites like the Gaurdian that it is most obvious. It is a sad reflection on the American intelligence and character that these people portray the whole nation as a bunch of ignorant rednecks and you have to have faith that they are not..
gosh, really? Andy, you surprise me. Hah! Glad I wasn’t imbibing hot fluids when I read that! Golly, golly, why not just hang a ‘kick me’ sign on your back!? I think one of the other things that Singer has been smeared on is his position on second hand smoking. Hasn’t that been vindicated by recent research? you call this peer reviewed? load of tripe. In the 1970’s I lost a cousin (non-smoker) aged 26 (lung cancer) and an uncle (heart disease) 56 and heavy smoker, an aunt (non-smoker) 55 (breast cancer) and a grandmother (non-smoker)(liver cancer). The house where they lived reeked of smoke and 3 were “non smokers” . Now how does Singer ‘s “statistics” explain that? The man sold his soul 30 odd years ago. From a scientific view point he has lost all credibility that he ever had. The video is little more than the ranting of a sad old man cheered on by admiring nincompoops. So you watched the video? Any comments on the ruminant methane issue? Not that I am “defending” smoking. I don’t smoke and I find the habit disgusting. ‘ The only category of exposure that showed a trend toward increased risk was living in the same house with a smoker for 30 years or more.’ And many people in the past did..
As smoking is not so prevalent these days and smokers have been encouraged to take their habit outside, there is now much less exposure to second hand smoke than in the past. So the recent findings do not portray what was happening 30 years ago except in the case where we have persistent smokers in the household. Clearly second hand smoking does cause lung cancer. I’ll repeat it for you shall I? So if there is an increased risk of living with a smoker, how can the paper, then conclude No link?? Isn’t that somewhat contradictory? Or were the researchers trying to get noticed. Smoking laws have been in place now for some years (30+ years in some jurisdictions). Unless one lives in a home where someone smokes, one doesn’t come into contact with second hand smoke anymore with any great frequency, if at all. To me the research is simply evidence that the smoking laws are working. Small amounts of exposure to second hand smoke are not damaging, but repeat exposure – as the study finds – is. You know, I keep forgetting that one paper containing conclusions you find agreeable is all it takes. Hey, andy, why don’t you wander over to Watts’ place, and take up your lament on the outrageous violation of the rights of smokers there? CFCs may be on the rise because the Chinese are manufacturing them in order to gain carbon credits under what is known as the HFC-23 scam. I’m sure even the most hardened environmentalist might agree that this isn’t a great thing. Wow, please link to any of their papers on the impact of these new CFCs or HCFCs on the ozone layer. Thanks in anticipation. And you know what ‘one’ means, right? It means ‘not many’. Well, no, I won’t, because I won’t be watching it. Fortunately, and familiarly, the real world and, um, science, don’t believe you. I’ve said it before and I’ll say it again – you can tell a lot about a movement by noting the people it raises to prominence. And now you’re a mouthpiece for The Smoking Lobby? Does your attention-seeking know any limits? The video is quite interesting (from a technical perspective). About 30 mins in Singer makes the point that more damage is done to stratospheric ozone by ruminant methane than by CFCs. However, since you won’t watch then you won’t find out. Maybe Joe Romm will post exactly the same information and you will pay attention. I can understand how much you despise Singer, as much as you despise the Greenpeace co-founder Patrick Moore for his stance on various things. IncidentallyI am not being a mouthpiece for the smoking lobby by pointing out that there is peer-reviewed material that backs the claim the second hand smoking has no statistical link to cancer. I know how shocking this is. Presumably the authors of this paper will be smeared by the lemon-lipped “you can’t say that” brigade. “as much as you despise the Greenpeace co-founder Patrick Moore for his stance on various things. Unfortunately the wayback machine has other information. Actually your “discovery” on the waybackwhen machine doesn’t clarify anything Andy. It says “founders and first members” and then lists Patrick Moore as one of those two. And, as Mr Smith points out, there’s the small question of him applying for membership. Which one wouldn’t do if one was a founder. But unlike most of those people, Moore went to the dark side, started getting serious money from industry and started spouting any old thing they wanted him to. And all of this was about 20 years ago anyway, so not sure what its relevance is to the AAAS report and the fact that the deniers used the same arguments against ozone depletion as they do against global warming science. Cindy, I think you should defer to andyS on this one, he has after all told us several times that he has Moore’s book and may even have read it. No indeed Cindy, but Moore and others that claim Moore was a CoFounder are often referred to as “liars”, which suggests that lies are very subjective, when Greenpeace made the same claim themselves before he was disappeared. somehow I can’t seem to reply below the comment I want to reply to, but @beaker and @Andy I don’t really care whose book anybody has read or what fairytales Moore has made up. Remember who pays him. And here is a copy of Moore’s application to the Don’t Make A Wave Committee trying to get onto the Greenpeace ship to protest the nuclear tests at Amchitka. That’s quite a stable of expertise. What i do despise are hired guns. Hired by the very industries that produce the things destroying the environment in the first place. Fred is one such person. He was suddenly all pro-nukes at COP4 because the nuclear industry had paid for him to go there. His organisation was founded by money from the tobacco industry. Etc. As with Patrick Moore. .
Singer is an atmospheric physicist, so presumably he might lay some claim to expertise on things that happen in the stratosphere. He’s not a chemist. Ozone destruction’s all about chemistry. And just look at what nonsense C de F produces! No andyS , Tim Ball is the only one with a geography degree and claims to be a climate scientist. Oooops Judith Curry falls into the same category. During my education, geography was considered a “social” science programme and not a physical science programme. I’m reminded of the old joke about what constitutes an expert. “x” is the unknown quantity, and a “spurt” is a drip under pressure. Just about sums him up really. Cindy, we can add that he denies harmful effects from radon gas and asbestos. I don’t know about Singers views on asbestos and radon. However, there are some big issues around the asbestos claims too, particularly with respect to the nature and type of asbestos that people get exposed too. No doubt this will also be met with horror and indignation, so I’m not sure there is much point in pursuing that line. My main issue is that the anti singer industry is maybe not quite as robust as people make out. I’m right behind the anti-singer industry in respect of some of the worst cases viz Barbara Streisand and Adele. These people should be stopped! Shorter andy; Pay attention to me! Pay attention to me! Andy, that would be HFC’s. Hydrofluorocarbons. Not CFC’s, which are chlorofluorocarbons. China got the carbon credits for destroying them (they’re created when making HCFC22 – or hydrochlorofluorocarbons). But that loophole was closed May 1 2013, crashing that bit of the carbon market. Which was a good thing. Thanks for the clarification between HFC and CFC. I was under the impression that HFC came under the Montreal Protocol too, though. No, the Montreal Protocol deals with ozone depleting substances (ODS). HFC’s don’t (no chlorine). But their global warming potential is thousands that of C02, and they’re under the Kyoto “basket” of 6 gases. They’re replacements for HCFC’s, invented to replace CFC’s. But because developing countries are still phasing out HCFC’s, they’re still manufacturing them, producing HFC’s in the process, and getting carbon credits for them. Of course there’s a virtually benign replacement, but the chemical industry can’t make any money from it. Bizarrely, it’s C02. it’s all a bit insane. So I take your point about the chlorine aspect. It is insane, I agree. We might call this the Law of unintended consequences. In researching this blog I also came across this great piece by Jeff Masters, which I forgot to link to. Worth reading. Andy, time to p.ss up another blog tree man. This is just to much stereotype “American Dumber” type clusterf.ck garbage you dish up. Wonder how long you last here this time…. Is everything black or white in your world Thomas? Well I’ll be darned! Americans eh? Yeah right ; it’s not just Americans and it’s not just the Joe Six-packs. There are many questions that are being posited , and they are nearly all critical to the degree of “certainty” that catastrophists display. Ah, Bio, you really, really need to learn to not get your information from wing-nuts. What the outcome will be, ie what the revised APS statement will say, we will eventually discover. It seems a good bet that the APS will break ranks with the world’s collection of peak science bodies, including the Australian Academy of Science, and tell the public, softly or boldly, that IPCC science is not all it’s cracked up to be. Or any of the similar crap spouted by, say, your movement hero, James ‘There Just Aren’t Enough Bullets’ Delingpole. I’ll let you report on the findings of this sub-committee Bill. I’m sure that you will enjoy doing that. Bio Fail! Oh no, Bio, you raised it, you report back. By which we mean what they actually say, not what some wingnut from Quadrant opines. I mean, how pathetic is ‘it seems a good bet’? Is this really what you console yourself with? No problem; I’ll be glad to do that. But I see that you’ve already staked out your position before the committee has even produced a draft. Because you already have the answers to all of those questions? Here is the APS current position on Climate Change. With the Royal Society and its American equivalent recently publishing strong Reports on AGW and urging Policy makers to action I hardly think the APS is about to back pedal! Rather it is more likely that they will issue an even more emphatic statement. Dear me; now in addition to pointing out where anyone at the actual APS sounded quite like your little source from sad old Quadrant, you can explain where I’d ‘staked out my position in advance’. My position, for the comprehension challenged – and that’s you, Bio, just to be clear – is that your source stakes all on a plaintive wish ( ‘it seems a good bet’ ) and his absurd conviction that what he hopes to be true about the great-big-Warmist-conspiracy-thing must turn out to be true. Hopes you doubtlessly share, and hopes that apparently make you unable to comprehend a simple collection of English sentences. I sent you to the bloody APS website, and asked you to tell us what it actually said, for God’s sake! Fair enough. You and Macro both seem to think that the APS position is set in concrete, or that it should be. Your faith in the ” settled science” is touching Bill, but like all religious faith it is , in essence, no better than superstition. Heretics believe that any science is subject to revision in the light of new knowledge. But you won’t be having a bar of that. We, here at Hot Topic , know all there is to know about climate! ‘Religion’!? ‘Superstition’!? This from a guy whose cognitive biases are so leaden he cannot even decode a simple collection of sentences without the gravity of his faith hopelessly distorting his comprehension?! That’s the 120,000+ member American Association for the Advancement of Science – ‘the world’s largest and most prestigious general scientific society’ – speaking, clown. You know; the people that publish Science? Get it? While you’re holding out that if the 50,000 member American Physical Society declares something (unphysical!) then we’ll all immediately have to drop everything and believe it, despite this position being in an overwhelming minority in the scientific community? Why? Because you want it to be true, so therefore it’s just true! Can you stupid, stupid people see yourselves from the outside at all? Look in the mirror Bill. Bill it’s apparent that you’re projecting a great deal of your belief about “deniers” onto anyone who doesn’t share your faith. I find your utterances entertaining, and obviously you are hanging off my every word. In the meantime the whole question of CAGW /DACCis slowly slipping out of the public consciousness as the promised catastrophic scenarios fail to materialise. That is to be expected after so much media hype. The only positive from it all is an increasing understanding of climate! Which may be of academic interest only , if we are not in a position to alter it. But like I said at the outset, there’s nothing wrong with being prepared. The only difference is that the true believers here insist that it is impossible to be adequately prepared. In the meantime the whole question of CAGW /DACC is slowly slipping out of the public consciousness as the promised catastrophic scenarios fail to materialise. Has to be rated the “MOST IDIOTIC” quote of the day. Sunshine, try reading through the above exchange objectively – yes, even at your advanced age you may hope to have a new experience – and then see if you can determine which of us is the hapless blowhard drongo who does not have a clue. Hint: it’s you. And, yet again; as soon as all your putative apathetic insouciant pollyannas vote in new laws of physics, we’ll be set. Other than that you’re all just compounding the Stupid. Yep it’s tough being the only one who is right Bill, but bear up – think of how John the Baptist must have felt . . . the voice crying in the wilderness. Or poor old Moses, casting his pearls before swine. Best you circle the wagons, adopt a laager mentality, and try and sit it out. something will turn up . . . Godot can’t be far away by now. I see that Macro has no illusions about the low priority that world governments are assigning to your hobby-horse, but really you’ve only got yourselves to blame for your predicament. bio is beyond help. His misunderstanding of basic science principles is incredible. His faith in his own perceptions unshakeable; and his belief in “Natural” cycles more fervent than many fundamentalist religious fanatics. Indeed fervent fundamentalists from whatever religious persuasion are essentially beyond reason. So I think it is better to leave him be. It only deepens his conviction in his “superior understanding” to give him the courtesy of a reply pointing out his misunderstanding of the science, and pointing to all the evidence that is constantly being recorded that supports the science. He chooses to ignore all evidence, yet thinks he is in touch with the earth, relying solely on the small world around him. Closeted in his ignorance he remains comfortable and complacent, ignoring all the signs that are there for anyone with eyes to see, and ears to hear. Perhaps the thing I find the most distressing is his perception that anyone who understands the science bases their knowledge on faith! As a past science educator at tertiary level, and with a degree in the philosophy of science and the theory of knowledge I find his accusations extremely offensive. Be that as it may, I shall not be responding to his idiotic comments any further, thereby giving him more attention. That’s a smart move Macro. The die is cast ; there will be no concerted world effort to control climate. Best to accept that fact and get on with the job, whatever you see that to be. Or just give up completely and do nothing. And, in fact, bio, apart from being as self-satisfied and tedious an old boor (and bore!) as it’s possible to be, you cannot even get your handwaving claims about ‘what everybody thinks’ right. All the delays foisted on us by The Stupid mean that one day this issue really will have to be dealt with as a war. In which you, and your rag-tag fellow-travellers, bloviating reactionaries and corporate anarchists alike, will be – correctly – perceived as 5th columnists. You might want to think about that. Perhaps the thing I find the most distressing is his perception that anyone who understands the science bases their knowledge on faith! Bill I think that you may have posted the wrong link , or was that simply the best one you could find? Anyway , there was not a single reference there to atmospheric CO2 of anthropogenic origin. Lots of talk of climate change though. Bill, I’m pretty sure that this is the article that you intended to link to, but from my reading of it, I’d say that it is even less helpful to your case (assuming that you do have a case – I’m giving you the benefit of the doubt on that) than the one that you posted. People like Singer and Lindzen are hired guns that would argue the world is flat. They are professional contrarians that argue against anything. That doesn’t make them right. Or the papers they quote right and they usually support some paper that goes against the majority of other papers. Research into second hand smoke finds a weak correlation, exactly as you would expect. Nobody argues second hand smoke is a powerful, lethal carcinogen, only that it may increase risk some degree. The one thing science understands about cancer is its dose dependent, and there is no point where you can define a safe dose. Therefore it’s probably true any level of second hand smoke increases your risk, but low levels would equate to low risk. Now no doubt Singer would say there might be some safe level. But this comes back to the point he is just a contrarian. He has added nothing to actually find what the risks are! The weight of evidence certainly suggests there is some risk from second hand smoke. Singer has not countered this argument. Andy: Yes that particular HFC is produced as a by-product of HCFC production. Unfortunately the tail end of the Montreal Protocol means that developing countries are allowed to continue producing HCFCs for a while yet. The US and China are now saying they’ll reduce GHG’s by working on HFC’s through the Montreal Protocol. But the MP has yet to agree to do this, in my understanding. And possibly unlikely to. There are lots of people of all political persuasions arguing that society is close to collapse, whether it be environmental, monetary debt, over-population, under-population, a transition to an Islamic caliphate etc. Please note that NASA funding was acknowledged in the paper under discussion. The oil and coal companies spend millions of dollars with universities on research and they employ thousands of scientists. Climate change is caused by burning fossil fuels and it is a threat to their business If burning fossil fuels did not produce CO2 and warmed the planet they have the money and the expertise to prove it. If they are able to pay an ex Greeenpeace man to stand up and lie, what does that prove. We are well down the road to serious problems and the longer we argue the worse it will be. Give me some evidence that oil companies pay Moore to lie. Bob there is no longer an argument. There seems to be almost universal recognition that the “deniers” won. We could argue forever about why they won, but what would be the point? We all have better things to do, don’t we? I’m still looking for evidence that Patrick Moore is paid by Oil Companies to “lie”. “Bob there is no longer an argument. There seems to be almost universal recognition that the “deniers” won…. Laughing out loud! Where did you get this nonsense from? Define “winning”? Ha! Do you think deniers denying AGW cause a change to the physics of our climate system? What is your point man? What “win” are you actually hoping for? That somehow societies will to tackle AGW is destroyed so that… hmmm… we are going to fry the planet, acidify the oceans and wreck the place for the next x million years to come? Is that what you denier chum would hope for? You must be kidding you Bio something… ! Take that Bio spiel of your name, you really should. Its a misnomer at best. About winning the (political) argument: I would recommend you to look up the speech of the President of the USA on the matter of climate change and read it. Actually do. You and your denier comps are the “flat earthers” the president eloquently refers to. The rest of the speech is not really looking like the flat earth society has a case let alone a win… poor you! And on the side of the “facts” – you know actual scientific data – you and your “winners” are the biggest losers. You have no theory and no data to back up your case. You are limited to a few contrarian shills and paid nutters with funding from right wing political circles and polluting industries. You have zero leg to stand on when it comes to what matters most: the truth behind this whole argument. But you are blind about all this. The Dunning Kruger effect has you spell bound. Good luck! Obama says it will be done ; therefore it must be? The sole reason Moore was called to testify before the Republican dominated committee in congress is that he is a so called environmentalist who works for big companies who have a bad environmental record and they pay him to do a report that puts them in a good light. in this case he said there was no proof the humans are causing global warming,which the Republicans love but is a complete distortion. Is distortion the same as lying? in sound bites Yes. So by the very definition you use, Bob, you are lying. Bill , for one , would never do such a thing, would he? Hmm. That has to be a minority view. Where do these people get this stuff?